We have a room devoted to the avatars in the monastery. People venture here from all over to see the sacred objects — the dolls — that once carried spirits from one body to another. I suppose my avatar is among them, but since they all look pretty much the same, I’ve never tried to figure out the exact vessel. There are three rows of shelves on both long walls of this dimly lit, musty room. Many of us who’d witnessed the birth of the Internet are still alive. We were the ones who called the present day The New Dark Age because the long downward spiral of the world economy had left us wondering what had happened to all those inventions and marvelous techno toys of the early part of the 21st Century. Truth be known, most from my generation don’t miss the gizmos and gadgets overmuch because we were pretty much ecstatic about the last invention of that bygone era: The Avatar Self. 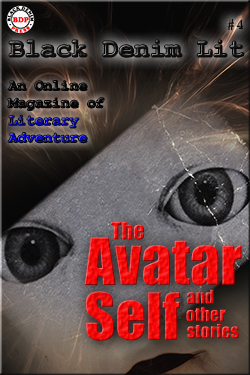 The Avatar Self wasn’t a virtual shape that we could, with a few clicks of the keyboard, duplicate or alter as we could our on-screen images. It was simply (but not simply) a cloth doll — a rag doll. It was as plain as the doll of an Amish girl — maybe a hair taller —, and it varied between two and three feet in height. No one could purchase more than one, as it was a one-time only deal. Here’s where the complexity comes in: if the transfer was successful, the avatar would sit up, then slowly rise and gingerly move about, much like someone after a nasty bout of flu. Once all hint of wobbling was gone, it would explore its surroundings, often for miles. Eventually, it would settle down, either in, or close to the dwelling of a pregnant woman. Despite the ability to perfect its gait, its walkabouts were generally comical because the avatar looked as stilted as a wooden marionette. You could see several avatars on any given street. Sometimes, they seemed to look right through you with their dark and beady little eyes. I think they especially looked this way when they were trying to sense whether or not you were a pregnant female. I’d thought about purchasing my avatar for months. My energy had been waning, no matter how many mega-doses of super potent vitamins I downed. Despite this, there was nothing in the results of my medical tests to confirm my own hunch that I was dying. I wasn’t depressed — or if I was, it was only because I was becoming weaker by the day. The day she was delivered to me, I wasn’t even strong enough to open the box she arrived in. At least I could remove her from the box after Jon, my husband of fifty-two years, opened it. I sat her on my lap. I was disappointed, even appalled at her drab appearance and wondered if the whole thing was a farce. How could the human spirit attach itself to such dreary facsimiles? Still, I felt more hopeful than skeptical. Tears burned my eyes. There was so much that I still hadn’t accomplished in life. I had so many unexpectedly deep longings: for love, mostly, but I also wanted to travel, help others — do more good in the world (not necessarily in this order). Had I ever done anything selflessly? I still needed more time to find the right words to express my desires and dreams. Despite the depth of my longings, they’d all become ... vague. My once-resonant voice now shredded to murmurs and whispers. The only longing I was supposed to have when I lay next to her in bed that night was to transfer my spirit into her cloth body. I don’t recall those hours clearly, as the horror of the following morning obscured it. I expected to be staring out from her eyes at the shell of my former self — feeling maybe a relief to no longer have to drag about that useless sack of skin and bones. But there I was, still... Every part of me ached for the leaving, loathed the body that had so utterly betrayed me. That first morning, still in my human prison, I mustered enough strength to fling my rag doll off the bed. It wasn’t kind of me, I know, and it was way too expensive to treat her so poorly. I threw her aside as I had the vitamins and exotic fruit juice concoctions that had falsely promised something just slightly less than eternal life. passenger seats of cars, waiting patiently on chairs in doctors’ offices, riding in strollers or grocery carts. I wasn’t dreaming when I saw them, was I? I read how they sought out pregnant women just after the transfer had been made. They were much more than merely another techno toy, right?